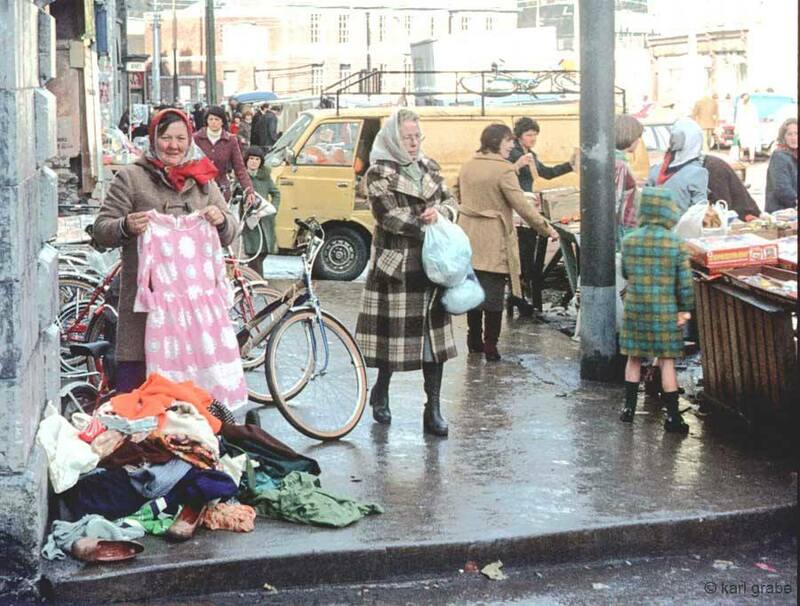 The Coal Quay or Cornmarket Street in Cork has long been a venue for street trading. Copyright Karl & Wolfgang Grabe. 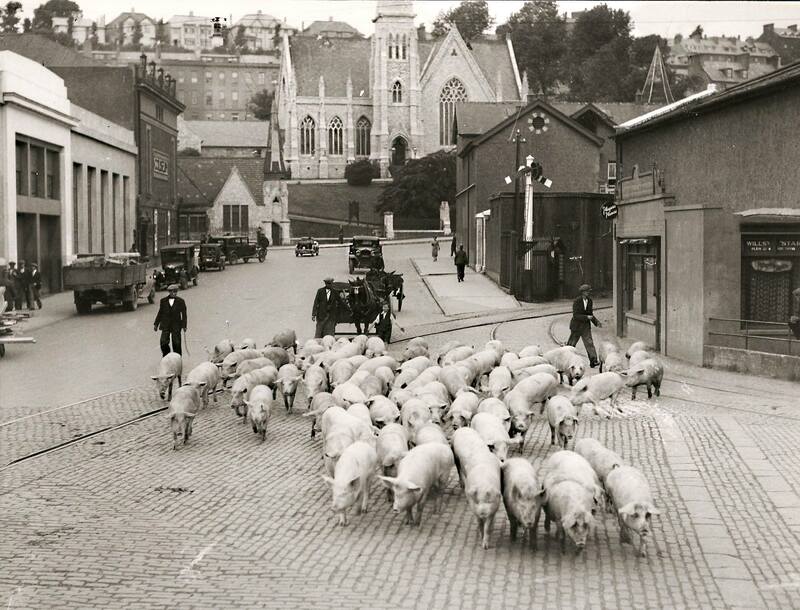 Pigs herded towards Brian Boru Bridge on Brian Boru Street in Cork. That railway line is long gone but the gap between buildings still exists. 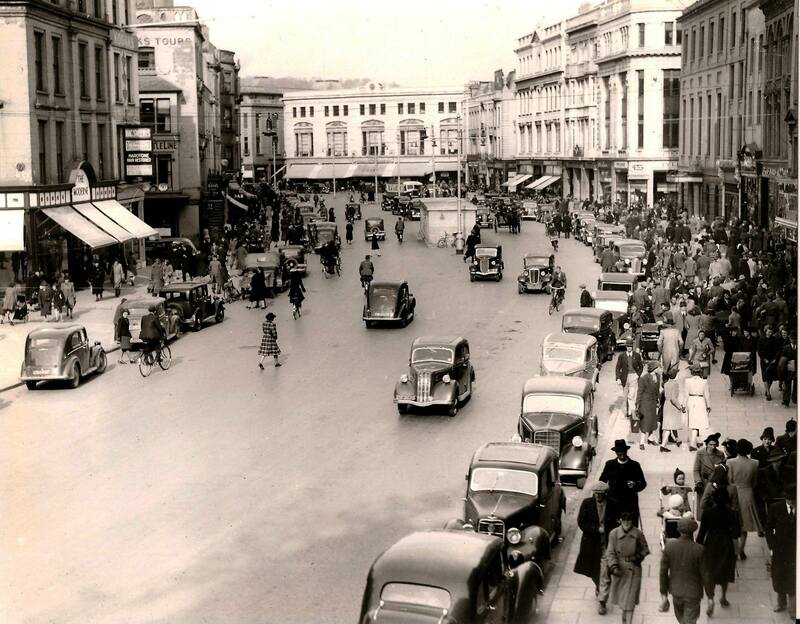 It’s a busy four lane street now! 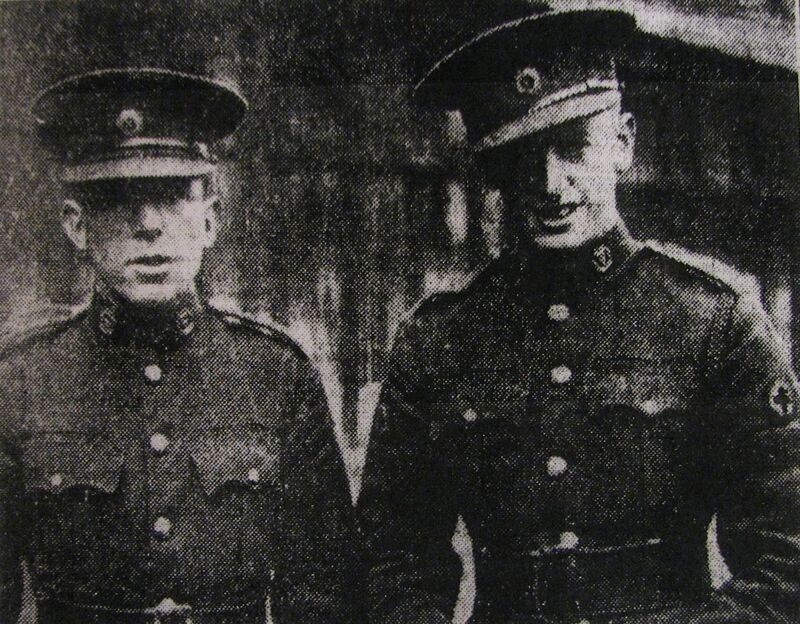 Two members of the Irish army, Pte Radley and Cpl Glanville, in 1929 who took part in the first blood transfusion in Cork. According to the Examiner, Pte Radley’s blood was given to a woman during an operation in the Mercy Hospital, which was the first time it had happened in Cork. Cpl Glanville’s blood was kept as a back up. Both men were in the Army Medical Corps in Collins Barracks. 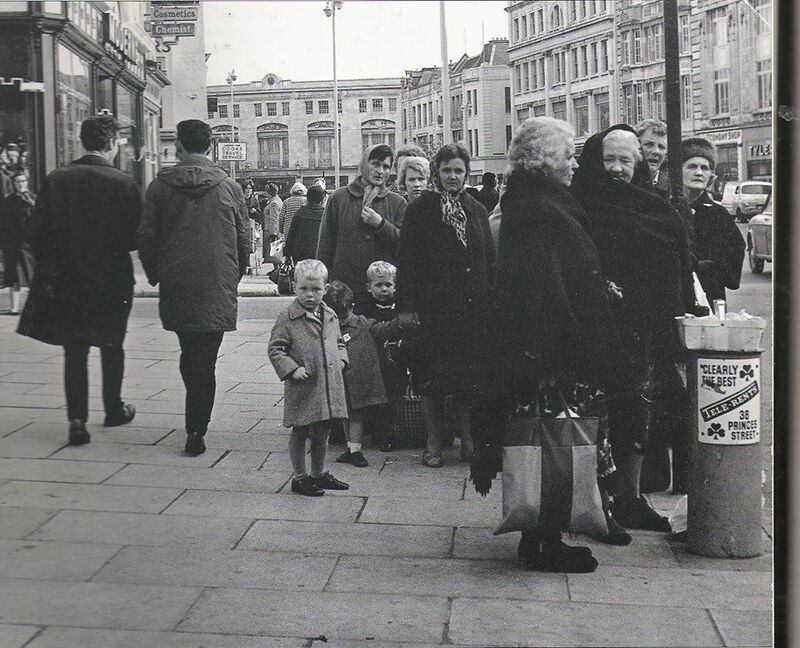 Waiting for the bus on St. Patrick’s Street, Cork. I have no idea when this photo was taken but it’s been a long time since so many shawls were worn. 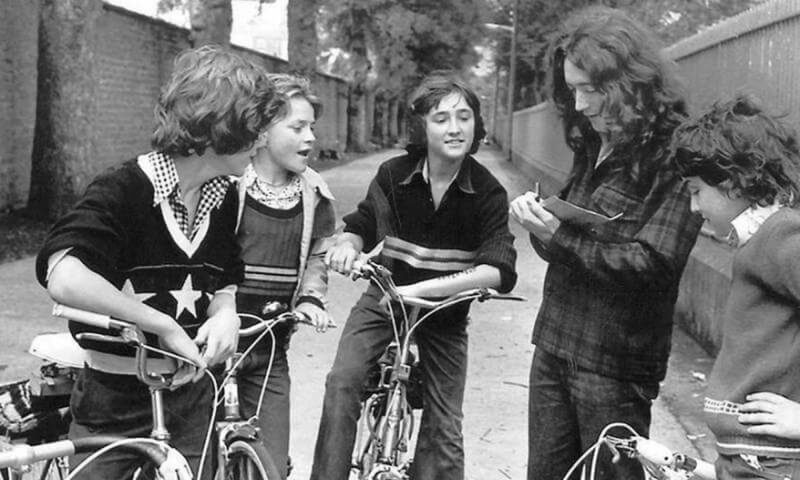 Could be the 50s or 60s? 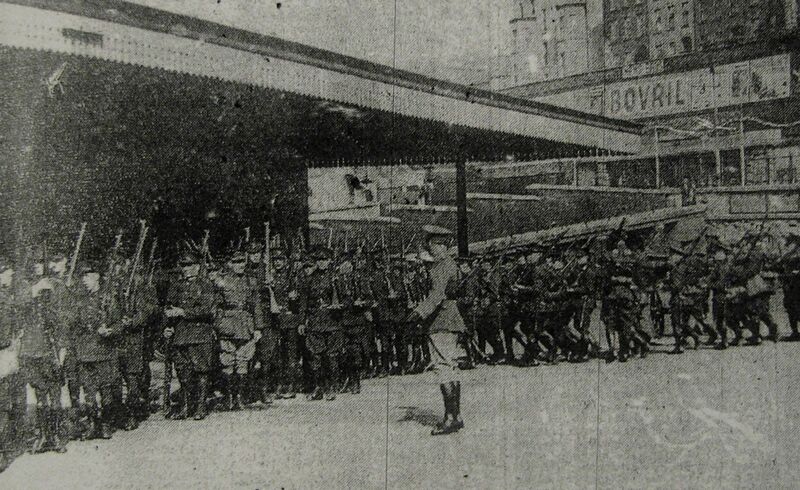 The army at Glanmire Station [now Kent Station] in 1932 on their way to the Eucharistic Congress.